Do you want to stop The Taxman getting his greedy paws on 33% of your inheritance? Or do you want to stop him stealing one-third of your children’s inheritance? If you’ve answered yes to either, you’ve come to the right place. In the following article I’m going to explain how you can easily prepare for inheritance tax in Ireland. 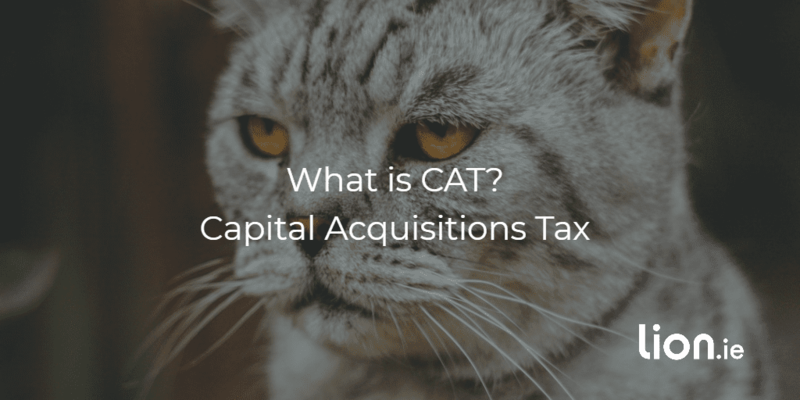 CAT is not a tax we come across every day so don’t worry if you’re not familiar with it. If you’re a spouse or civil partner taking an inheritance from your deceased spouse or civil partner, you don’t pay inheritance tax. Everybody else is liable for inheritance tax. If the value of the asset you receive is under your threshold (see below), its tax-free. Anything above your threshold is taxed at 33%. 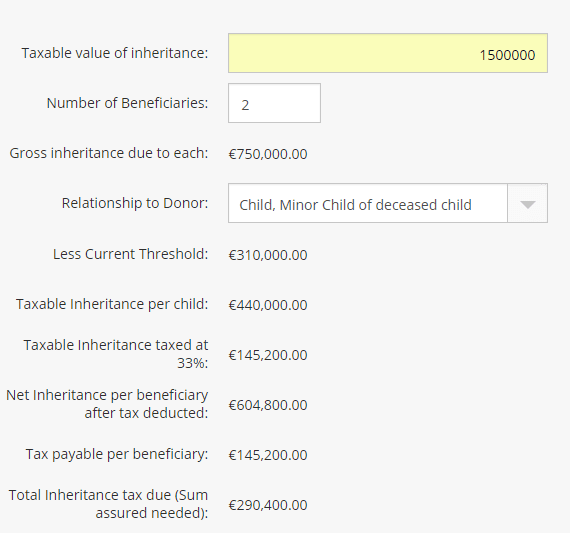 Here’s how much inheritance tax is due for you and your sibling if you inherit assets of €1.5m from your parents. Remember assets comprises anything of value so property, jewellery, cars, savings, investment etc. Assuming you haven’t received any gifts from your parents in your lifetime, you face an inheritance tax bill of €145,200 each. And this €145,200 will have to be paid in cash to the Revenue without delay. Should you inherit between January and August, you have to pay by October 31st! If you inherit between September and December, you have to pay the inheritance tax bill by 31st August the following year. If the bill isn’t settled, penalties and interest are charged immediately. The Revenue will be sympathetic if you can’t pay the bill and they may come to some deferred arrangement but eventually you will have to pay up €145,200 each. How do I calculate my inheritance tax liability? The first thing you need to do is to get the market value of the inheritance on the date of death. From this €750,000 you subtract your “threshold”. This is how much you can receive tax-free. For arguments sake, let’s say you’re a daughter of the deceased and you have not received a previous inheritance from your parents. So let’s subtract €310,000 from the €750,000 inheritance. This leaves a taxable inheritance of €440,000. You must pay 33% inheritance tax on €440,000 so you’re faced with an immediate inheritance tax bill of €145,200! Do you have €145,200 in cash? If you don’t, you may have to sell your house, settle the inheritance tax bill and then make do with whatever cash remains. It would be a whole lot easier if there was an insurance policy in place that would pay out €145,200 allowing you to take the full €750,000 tax free. Once you have used up your full threshold, you’re hit with a 33% bill on all further inheritances from that group. What should a parent do to prepare for inheritance tax? On the death of the first parent, arrange for the surviving parent to receive everything as it’s tax-free. The children should inherit on the second death only. death of spouse – assets pass to the children. 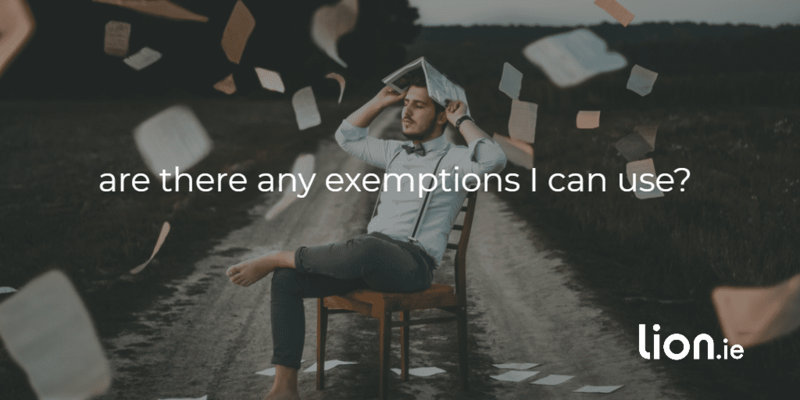 Any inheritance tax exemptions or reliefs that I can use to reduce my tax bill ? The relief operates by reducing the market value of ‘agricultural or business property’ * by 90%, so that inheritance tax is calculated on an amount – which is substantially less than the market value. A stay at home child, provided they have lived in the property for three years, remain there after the inheritance and don’t own other property will be exempt from capital acquisitions tax provided these conditions are complied with. When this relief applies, a niece nephew can be treated as a child and get the higher threshold of €280,000. See here for conditions. Anyone can receive €3,000 per year from anyone tax-free. But be careful if you are gifting this to a child. Some people deposit €3000 into a savings policy for the child every year. This may not work as Revenue could just offer apply one €3000 exemption when the policy matures. The safest way to use the €3,000 annual gift exemption is to deposit it into a current account in the name of the child each year with a direct debit coming from the child’s account to fund the savings policy. Similarly writing a savings policy in trust for a child is not the best way to do it. Revenue may see it as a delayed one time gift and allow only one €3000 exemption. Ok, now you know how inheritance tax works, how can you use life insurance to pay your inheritance tax bill? In a previous article I covered inheritance tax for unmarried couples. That’s worth a read…go ahead, I’ll wait for you to come back. One thing I didn’t mention in that post is in relation to mortgage protection for unmarried couples. To reduce your inheritance tax liability here, you should take out two single life policies. You pay your partner’s premiums, s/he pays your premiums. What’s a Section 72 life assurance policy? This was previously known as a Section 60 policy. A S72 life assurance policy is a Revenue approved whole of life policy, the proceeds of which are tax-free if used to pay an inheritance tax bill. In other words, money flows through the policy tax-free to pay an inheritance tax bill. This policy allows you to plan for an inheritance tax liability so that on death, this policy will pay your inheritance tax bill. So the beneficiary (e.g. your children) will receive the full inheritance tax free. Can I use a normal life insurance policy to pay inheritance tax? You can but the proceeds will be taxed at 33% before they can be used to pay the inheritance tax bill. How should I set up inheritance tax life insurance? Firstly you have to estimate the amount of inheritance tax you will need to cover. This is an inexact science as the market value of your assets, the group thresholds and the inheritance tax rate itself may change in the future. The best you can give is an educated guess. Scroll down and I can help you figure this out. You then buy a policy for that amount in the name of the person leaving the inheritance. The policy holder must be the person leaving the inheritance. A joint policy between married couples or civil partner can be set up to payout on the second death so on the first death, the spouse will receive the assets tax-free. On the second death, there may be an inheritance tax liability for the beneficiaries. The S72 policy will pay this liability allowing the beneficiaries to take their inheritance tax free. Are there any conditions that must be met for a valid policy? It must be expressly effected as a S72 policy. Can a child take out a policy on their parent’s life? Yes, this is common where the parents cannot afford the life insurance premiums, It’s only fair the children pay the premiums as they will get the benefit of a tax-free inheritance. The child will pay the premiums and therefore will be the owner of the policy. As owner of the policy, the child will receive the proceeds tax-free to pay the inheritance tax. You will have to prove to the insurance company that there is a financial need for such as policy as normally a child cannot insure the life of a parent. This can be done by showing a copy of thw will to the insurance company. Alternatively, the child or children can gift €3000 per year tax free to their parent’s bank account. The parents can direct the direct debit to come from that account. That’s a pretty comprehensive look at how you can use a S72 life insurance to pay an inheritance tax bill. 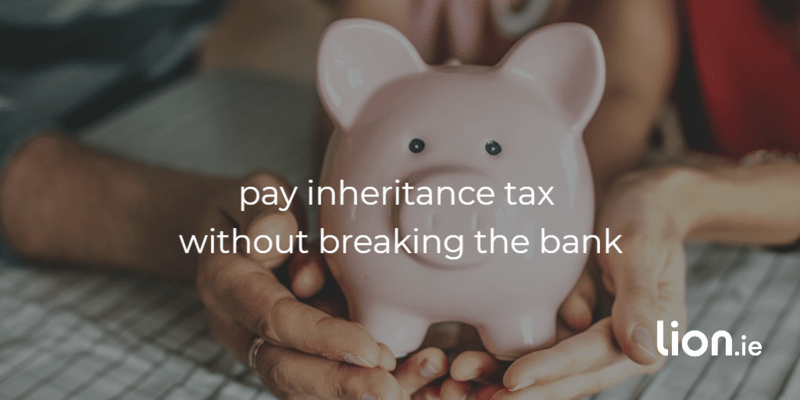 Inheritance tax is unavoidable, so you should prepare for it now while you’re in good health (and under 75). The premiums will never be cheaper. If you’d like some help calculating your inheritance tax liability, complete the “ask a question” below and I’ll be right back. What’s the total value of the inheritance? What’s the relationship between the beneficiaries and the person leaving the inheritance? e.g children, siblings, or no relation. If you’d prefer to discuss this over the phone, I’m on 05793 20836.